Mitch Friedman is a contributor to Writes on the Range, the opinion service of High Country News. He is the founder and executive director of Conservation Northwest, a Washington-based wildlife and wildlands conservation organization. A gray wolf looking for a home can’t do better than the state of Washington. That statement might surprise people, as Washington has made headlines for killing wolves, most recently on Sept. 1 as well as earlier in the summer, when two wolves from the Smackout pack were killed following livestock attacks. To some, the names of the Wedge, Huckleberry, Profanity and now Smackout and Sherman wolf packs are a requiem, symbols of pain and a controversial policy. But when you dig deeper, wolf recovery in Washington is a success story worth repeating. Our state’s first pack was documented in 2008, and 20 packs have since been officially confirmed — and that’s a lowball number. Given at least 120 wolves and a growth rate greater than 25 percent annually, the range of wolves in the state is spreading west and south from its original concentration in the northeast counties. Because wolves are prolific breeders and able to adapt to a range of habitats, they do fine, so long as they’re not poisoned, trapped or profusely shot. The key to a future for wolves is retaining public support by minimizing conflict. 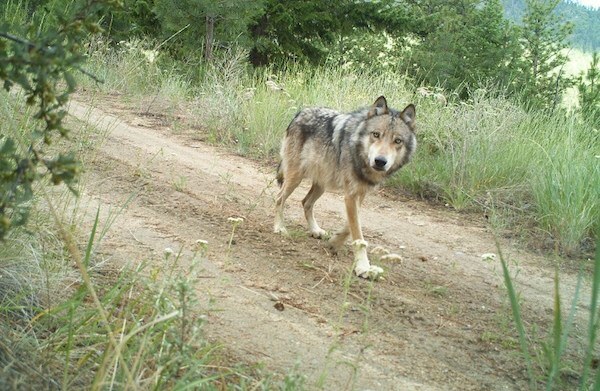 That means finding ways for wolves and ranchers to coexist. Washington has forged a model for building coexistence based on bringing stakeholders together through respect, dialogue and a search for common ground. This year, nearly 100 Washington ranchers and farmers signed agreements to employ deterrence measures, from range riding to guard dogs, to prevent or reduce conflicts with wolves. While some conservation groups cling to the idea that firing off press releases and lawsuits will win the day for wolves, the progress in Washington demonstrates that cooperation and compromise offer a better path to the long-term future of wolves. Not that collaboration and deterrence methods always succeed. Since 2012, Washington has had five conflicts bad enough that wolves have had to be killed. Yes, I, a wolf-loving lifelong conservationist, think that wolves sometimes have to be killed. Gray wolf numbers in Washington have grown rapidly over the past few years, prompting collaboration with stakeholders. Thanks to a well-facilitated Wolf Advisory Group composed of a wide range of stake-holding interests, we have a clear policy on that in our state. Importantly, the certainty this agreement provides gives those living and working in wolf country incentive to participate without fear of the goalposts being constantly moved. Accepting lethal removal of wolves as a last resort is a sad but integral part of coexistence. Government action is essential in the infrequent instances where livestock depredations have become chronic. Yet Washington’s success story seldom makes the headlines. Some have piggy-backed on the whole wolf controversy to raise other issues, such as whether livestock even belongs on public land. But if good wolf policy had to wait until Congress resolved the debate over public-lands grazing, few packs would be safe. And while publicizing the deaths of wolves is good for headlines and fundraising, the resulting polarization leaves wolves even more vulnerable to rural anger, poaching and legislative repercussions. Here in Washington, key conservation groups, ranchers, hunters and other interests have enough integrity to stand together and oversee the implementation of policies they helped craft. That’s something special in today’s divided West.